The Clayre & Eef collection is a complete range of home accessories that make a house a home. 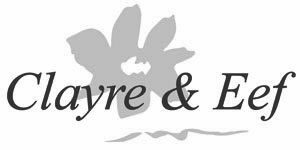 At the head office, the Clayre & Eef designs are mainly drawn and painted by hand in a charming, romantic style that is so typical for Clayre & Eef. This rural, nostalgic style has its origins in the Limburg village Haelen and is distinguished by a diversity of recognizable and romantic designs.